As a new Portland homeowner, you may find yourself looking around your home this fall, wondering how to decorate. Living in a new home can be challenging when it comes to decorating, but it can also be a surprising amount of fun. You get to come up with new ideas and you have a veritable blank canvas to work with. If you’re a first time homeowner, this sense of working from scratch can be even more profound. Luckily, decorating for the fall in the beautiful Pacific Northwest can be as simple as bringing the outdoors season inside. So when you think Fall in Portland, what comes to mind? By and large, there are two or three main decorating themes at play for this season. The theme of transition, as the local flora and fauna prepares to go into hibernation for the winter, can be one great theme for decorating. The theme of harvest is also a great underlying motif you can use to build your decorating scheme, as the crops come in and we prepare to celebrate another great year. The holidays of early autumn, Halloween and Day of the Dead, are primarily concerned with transition and help us to mark the change of season and the end of the warm months. And while decorating for either of these holidays is pretty straightforward, the underlying motif of life transitioning toward dormancy can be something you can work with for the entire season. Bringing a little of the season indoors to decorate in a fall motif can be as simple as “shopping your backyard.” Colorful dried leaves and grasses, pinecones, fall-blooming cut or dried flowers, arrangements of interesting bare branches, and all of the elements of the natural world transitioning away from growth can be incorporated into your design scheme. These visual representations of nature in transition will carry your home forward through the season once Halloween and Dia de los Muertos are over. With the arrival of November, the season’s focus shifts from transition to one of thanksgiving for nature’s bounty and another successful harvest. Harvest motifs can be used to great effect to decorate your new Portland home, from the beginning of the season right through Halloween time, and into the Thanksgiving holiday. A wreath of dried corncobs, a few sheaves of corn, some lovely gourds, a pile of multicolored squashes – the elements of harvest decoration are inexpensively and easily assembled. One of the best parts of decorating your new Portland home for the fall is how simply you can pull off an elegant and tasteful look with items you can get at your local grocery store, or out at a farm on Sauvie Island. There’s just one last thing to consider as you assemble together your autumnal decorations for your new Portland home: the transition from fall to holiday decorating. 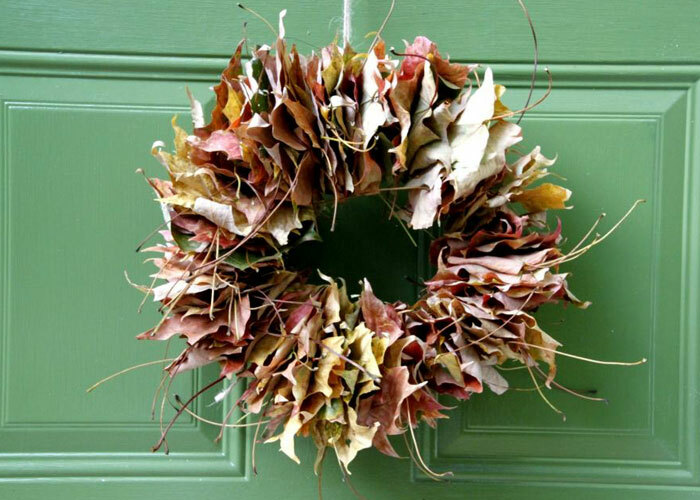 If you are selective in how you decorate for autumn, many of the underlying decorative elements can work for early fall, late fall, and the start of winter holidays. Decorating for the season in Portland can be as simple as bringing in a bit of the wonder that surrounds us this autumn.